4-disk series that examines the vision of life, three big ideas, the brilliant image of God, and broadening the conversation. 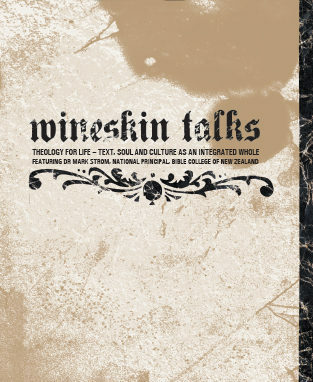 In Theology for Life we continue the big picture ethos of the Wineskin Talks. Like the previous series, we base everything on Jesus of Nazareth, whose life changed life forever. So how now do we think of God in light of Jesus? Or of being human? Or of what God is up to in the world? Of relationship, community, and society? Environment, architecture, and economics? And, as our minds are renewed, how ought we to live?